The slurry spreading season comes to an end today October 15. The deadline much like last year holds little fear for farmers this year when compared to previous wet autumns. 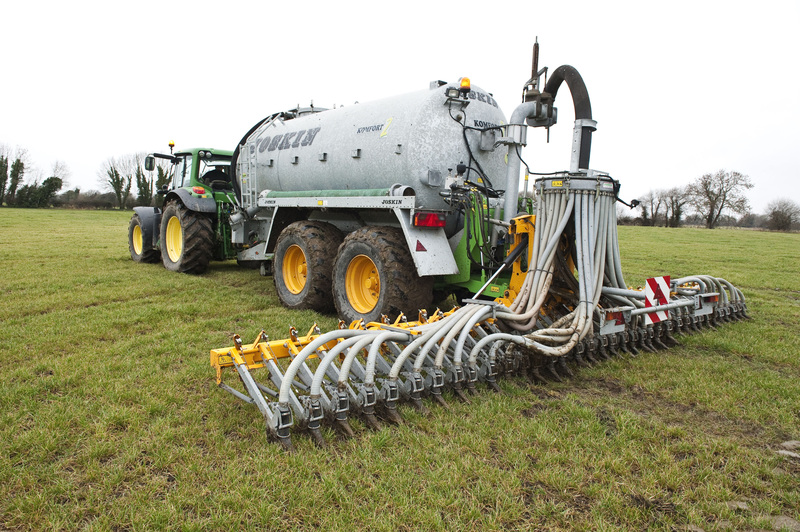 Summer 2014 has offered farmers ample opportunity to get all their slurry spread in preparation for the winter. When compared to the horrific weather conditions experienced a number of years ago, the deadline should not trouble many farmers. Ground conditions over the past few months have been ideal and with the unseasonably dry September weather grass has been growing and taking up nitrogen right up to the start of October. Slurry is prohibited from being spread over the winter in Ireland so as to comply with the European Union’s Nitrates Directive. The aim is to protect ground and surface water, including drinking water. The regulations also prohibit such application at any time of the year when the ground is frozen, waterlogged or heavy rain is forecast.